Machined from 6061-T6 billet aluminum for incredible balance and strength. Available for small and big block Chevy motors with long and short style water pumps. 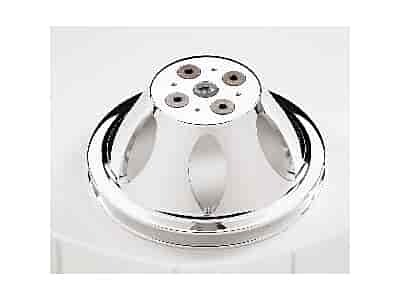 These pulleys feature a polished finish. Pulleys are 6-7/16'' diameter.